Federal College of Education (FCE) Zaria Admission List of Candidates Offered Provisional Admission into NCE and Degree Programmes for 2018/2019 Academic Session. This is to inform all the candidates that applied for admission into the Federal College of Education (FCE) Zaria NCE and B.Ed/B Sc (Ed) programmes for the 2018/2019 academic session that they can now check their admission status. FCE Zaria admission list for the 2018/2019 has been successfully uploaded online. 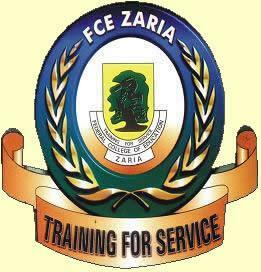 Go to Federal College of Education (FCE) Zaria admission status checking portal via http://fcezaria.net/admission.php. Enter your JAMB registration number in the appropriate column. Finally, click on ‘Search Admission’ to access your FCE Zaria admission status.